Sriwijaya kingdom is the name that certainly is not foreign to you, because Srivijaya was one of the greatest maritime empire in Indonesia and even in Southeast Asia at that time (age 7-15 M). If you want to know the development of Srivijaya until it reaches the peak of his greatness as a maritime empire, then you need to know in advance the historical sources that prove the existence of the kingdom. Historical sources apart from the Srivijaya empire in from outside as well as from China, India, Arabia, Persia. From domestic sources in the form of inscriptions, amounting to 6 units which use the Old Malay language and letters Pallawa, and have used the Saka year's figures. To determine the existence of these inscriptions, see the following material descriptions! 1. Inscriptions found in Kedukan Kedukan Hill Mount Talang on the banks of the river near Palembang, dates to the year 605 Saka, or 683 M. The contents of the inscription is telling a sacred journey / Sidayatra conducted Dapunta Hyang, departing from Minangatamwan with soldiers carrying as many as 20,000 people. From the trip succeeded in conquering several areas. 2. 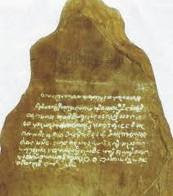 Talang Tuo Inscription found in the west of Palembang city dates to the year 606 Saka / 684 M. The inscription tells of making Sriksetra Park for the prosperity of all beings and there are prayers that are Mahayana Buddhists. 4. Inscriptions found on Lime City Lime City Bangka island dates to the year 608 Saka / 686 M.
5. Inscriptions found in Jambi Coral Brahi not framed years. 6. 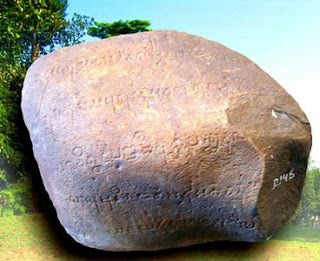 Palas Pasemah inscriptions found in South Lampung no dates to the year. 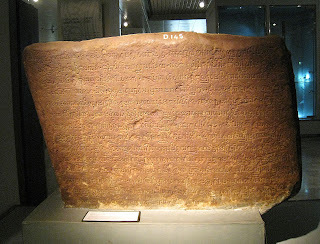 The four last-mentioned inscription Inscription of Stone Lake, Town of Lime, Rock hill, and Palas Pasemah explain the contents of the same that is a curse on anyone who does not submit to the king of Srivijaya. 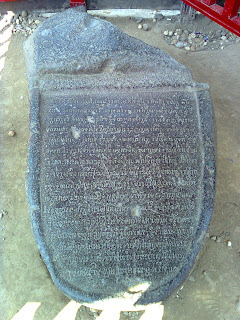 From the explanation of these inscriptions, if you can understand the existence of the kingdom of Srivijaya? To add more understanding of the material you listen to a description of historical sources Sriwijaya from abroad either in the form of inscriptions as well as Chinese and Arabic news. Sources in the form of inscriptions found in Malay Peninsula dates to 775 AD that explains about the founding of a base in the Malay Peninsula, the area Ligor. For this inscription, Inscription named Ligor. The next inscriptions found in India at Nalanda town from the 9th century AD The inscription describes the founding of Temple by the king of Srivijaya Balaputradewa. In addition to the inscriptions, the existence of Srivijaya was also strengthened by the presence of Chinese and Arabic news beritaberita. The name of the kingdom of Srivijaya in the Chinese news, called a Shih-lo-fo-shih, or Fo-shih, while the Arab news Sriwijaya called Zabag / Zabay or as Sribuza. From the Arab news explained about the power and greatness and wealth of Srivijaya. Thus the evidence about the source from overseas that explains the existence of Srivijaya, so that through these sources can be known Sriwijaya developments in various aspects of life. To find out more clearly the development of Srivijaya in the aspects of life, then consider the following description of the material. In political life. 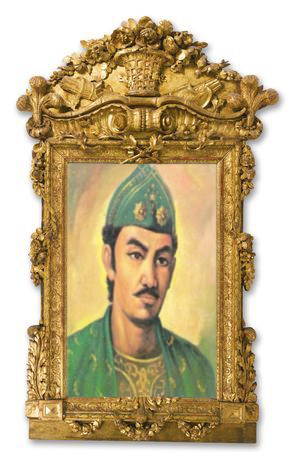 Can be seen that the first king of Sriwijaya was Dapunta Hyang Sri Jayanaga, with the center of his kingdom there are two opinions is the opinion of the first to mention the center of Sriwijaya in Palembang because the area is commonly found inscriptions of Srivijaya and the Musi river is strategic for commerce. While the second opinion that the location of Srivijaya in Minangatamwan Kampar Kiri confluence area and the estimated area of ​​Kampar Kanan Binaga is located in Jambi is also strategic for commerce. Of the two opinions, then by the experts concluded that in the beginning centered Sriwijaya in Palembang. Then transferred to Minangatamwan. To further Srivijaya kingdom was able to develop through the political success of the expansion / extension of the territory into areas that are very important for the trade. 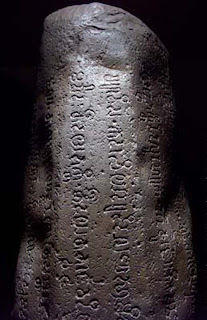 This is consistent with the inscriptions found in Lampung, Bangka, and Ligor. Even through I-tshing that fort on the island of Penang Kedah also ruled Srivijaya. Thus Sriwijaya senusa no longer as a country or an island, but it is the country between homeland because of his mastery over several islands. Some even argue Sriwijaya is the first unified state. Due to widespread power and act as major countries in Southeast Asia (M. Yamin). 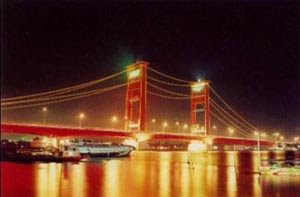 Sriwijaya has a strategic location on international shipping lanes and trade in Southeast Asia. With a strategic location is then developed into a center of Srivijaya and the port of transit trade so as to hoard the goods from inside and outside. Thus the position of Srivijaya in international trade is very good. It is also supported by the reign of a competent and wise as Balaputradewa. In the era of Sriwijaya has a strong fleet capable of guaranteeing the security of shipping lanes in the path that leads Sriwijaya, so many traders from outside the transit and trade in the territory Sriwijaya. With the traders who arrive from outside the Srivijaya income is rapidly increasing. The increase derived from the payment of tribute, taxes and profits from trade with Sriwijaya thus developed into a large and prosperous kingdom.